Home » Main Course » Who wants a slice of black pizza? Who wants a slice of black pizza? Basilico Pizza in London recently launched the black pizza that has been trending at restaurants across the world from little cupcakeries in Phillipines to pizzerias in Ontario. These hot, new black pizzas are made from a dough that uses activated, edible charcoal, which is being touted for its health benefits including lowering bad blood cholestrol. Use of black dough for making pizzas was first reported at the three-day Pizza Expo in Los Angeles. Molini Spigadoro, an Italian flour manufacturing company, based in Perugia, had showcased some of its black pizza bases and breads at the expo. 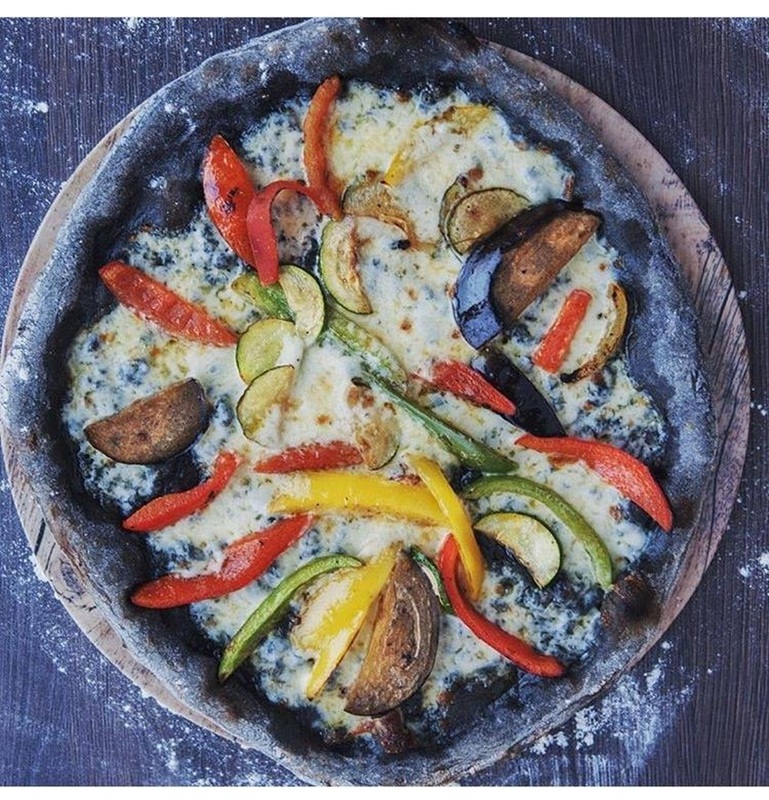 Some chefs such as the one at Na Pasta in Budapest has used squid ink to colour the dough for his pizzas, but most have been working with food grade edible charcoal. The taste of the pizza is unaffected by the charcoal, chef Remo Tortola of Giovanni Caboto Club in Windsor Ontario told a local newspaper recently. But yes, he had a tough time convincing some guests that the pizza crust wasn’t burnt. Will the trend catch on in India? We’re taking bets on this one.